Douglas Miles Hassenmayer, 59, of Durham, North Carolina passed away on February 14, 2019. He was born on November 17, 1959, in Milford, Connecticut and graduated from Milford High School in 1977. He furthered his education at Northeastern University in Boston, Massachusetts, earning a Bachelor of Science degree in 1982. 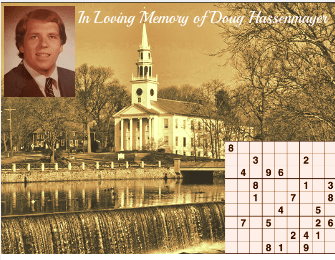 A member of the Mensa Society, Doug was known for his wit and zest for life, as well as his ability to converse intelligently on a wide range of subjects. He enjoyed a passion for organized, thought-provoking, mind-challenging games and was also an advanced collector of tobacciana. He was formerly a Mason in Ansantawae Lodge #89 AF & AM in Milford along with his father, brothers and several other family members. 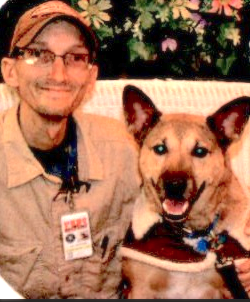 Doug will be greatly missed by his loving family and many loyal friends. He is survived by his parents, Walter E. (Skip) Hassenmayer and Ruth E. (Miles) Hassenmayer of Milford, CT; brothers Thomas E. Hassenmayer (Morgan) of New Haven, CT and James R. Hassenmayer of Orange, CT. He also leaves his sisters-in-law, Kathleen Hassenmayer of Milford, CT, Analida Hassenmayer of Fayetteville, NC and several nephews and nieces. He was predeceased by his younger brother David D. Hassenmayer. 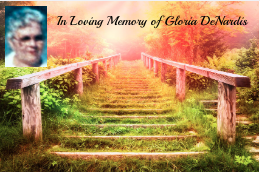 Gloria M. Adante DeNardis, 91, of Orange passed away March 13, 2019, at her home surrounded by her loving family. Wife of the late Edward DeNardis. Beloved mother of Diane (Blase) Picone of Madison, Shirley (Mike Baldwin) Flesher of Milford, Edward (Janet) DeNardis of Hamden, Carol (Steven) Renchy of Guilford, James (Francine) DeNardis, Michael DeNardis and Daniel (Jennifer) DeNardis all of Orange. 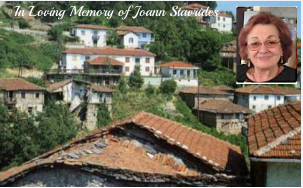 Gloria was born in West Haven September 12, 1927, a daughter of the late Guiseppe and Romilda Vitaletti Adante. Also survived by 11 cherished grandchildren and 6 great-grandchildren. She was predeceased by a sister, Elizabeth Valalik and a brother, Joseph Adante, Jr. Prior to her retirement, Gloria worked for the BIC Corporation for more than 20 years. Friends may call MONDAY MORNING from 8:30-10:30. Her funeral procession will leave the PORTO FUNERAL HOME, 830 Jones Hill Rd., West Haven Monday morning at 10:30. A Mass of Christian Burial will be celebrated in Holy Infant Church at 11:00. Interment will follow in All Saints Cemetery. 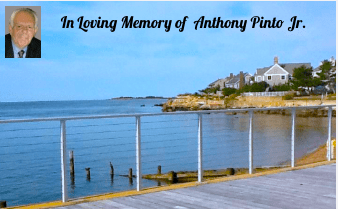 Memorial contributions may be made to Constellation Health Services, 240 Indian River Rd., Orange, CT 06477. Sign Gloria’s guest book online at www.portofuneralhomes.net. 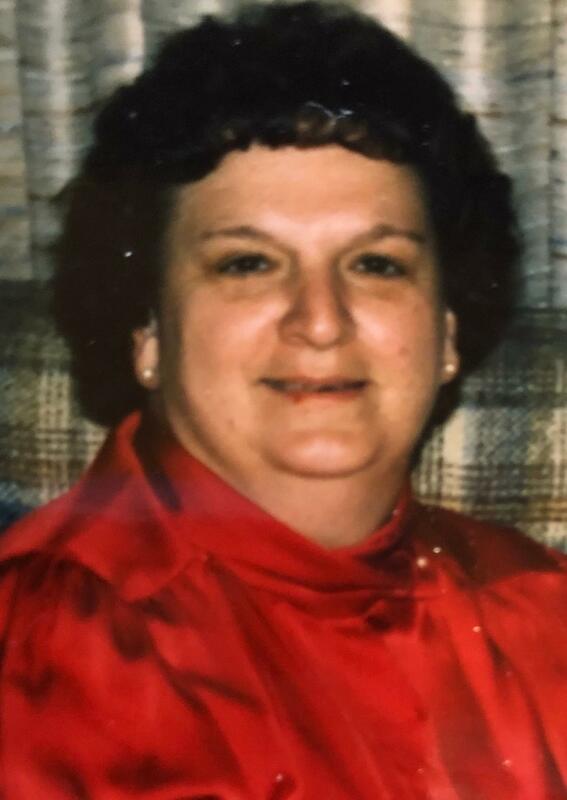 Dorothy E. Miles, 83, of Milford, beloved wife of the late Robert E. Miles, died on Wednesday, February 20th, 2019. Dorothy was born in Bridgeport, CT on September 30th, 1935 to the late Ernst and Elizabeth Armbruster Widmer. Dorothy worked as an office manager at John Hancock Insurance for many years and was an active member at the United Church of Christ in Devon. She was the secretary at the church and also served as the chairman for the Board of Deacons. Dorothy loved to travel and to be with her family. Survivors include her children, Robert A. Miles of New Haven and John E. Miles of Milford, two grandchildren; Robert T. Miles and Cherilyn Miles, one great-grandchild, Amelie Choiniere and several nieces and nephews. (Mother in Law of Terri Miles). Dorothy is predeceased by her sister Gertrude Huesch and her husband Harry. 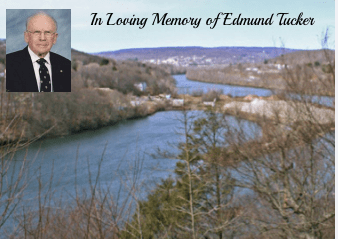 Family and friends are invited to attend a Memorial Service on Saturday, March 2nd at 11:00 am at the United Church of Christ in Devon, 30 Ormond Street, Milford. Interment will be private. In lieu of flowers, donations may be made to The United Church of Christ in Devon. Sarah Foster, 27, beloved daughter of Stuart Foster & Laurie Stone passed away on Friday, Feb. 15. Her funeral will be held tomorrow, Monday, Feb. 18, at 12 noon, at Congregation Or Shalom, 205 Old Grassy Hill Road, Orange. The Shiva will be observed Monday and Tuesday evenings at Congregation Or Shalom, from 6:30 p.m. to 8:30 p.m.
A brief Kaddish service will take place at 7 p.m., both evenings. 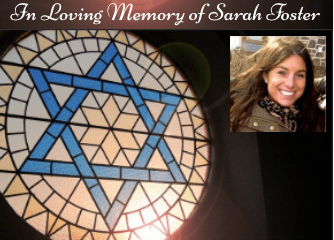 Sarah Alexis Foster left a mark on the world in many significant ways, though just 27 years old. Tragically, this beautiful soul was abruptly taken from all those who knew and loved her on February 15th. Sarah’s kind spirit and zest for life attracted people to her. She had a magnetic personality and a smile that would light up any room. A teacher, Sarah loved her work and was passionate about making a difference in the lives of her students. For the last four years, Sarah taught 6th-grade social studies at Louis M. Klein Middle School, Harrison Central School District, Harrison NY, where she also coached girls volleyball. Sarah was born November 17, 1991, in New Haven, CT to Laurie Stone and Stuart M. Foster. She attended Beecher Road School in Woodbridge, CT through 6th grade, and attended Hamden Hall Country Day School, from which she graduated high school in 2010. She earned a bachelor’s degree at Union College in Schenectady, NY graduating in 2014. Thereafter, she attended Union Graduate College where she earned a Master’s degree. 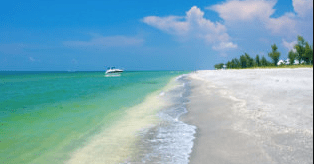 Sarah loved the beach, international travel, history and the excitement of New York City life. She was full of laughter. She leaves behind her father, Stuart M. Foster, mother, Laurie Stone and stepfather, Jim Gregory, sister and best friend Leah Foster. She also leaves her grandfather, A. Harris “Boey” Stone, his fiancée Leslie Cahill, grandmother Eileen Cowell and her husband Bud Cowell of Hilton Head, SC, her beloved aunt Tanya Lee Stone, cousins, Liza Stone and Jake Stone of S. Burlington, VT. Uncles and aunts, Arnie and Norene Foster, Chris and Stefanie Freeman, cousins Rachel Foster and Jake Grabell, Aly and Chris Plourde, Kyle and Emily, Kris, Samantha, and Alana DuFresne. Her grandparents, Audrey, and Robert Foster predeceased her. 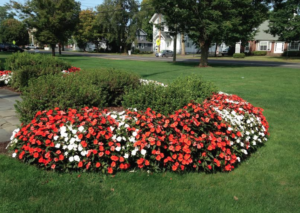 Robert E. Shure & Son Funeral Home, New Haven is in care of arrangements. To sign an online registry book or to leave a message of condolence, please visit www.shurefuneralhome.com. 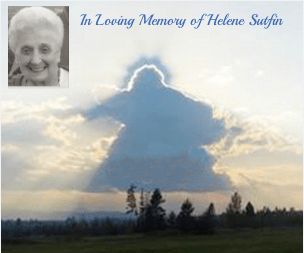 Helene “Mimi” Skuret Sutfin, 83 years old of Hamden passed away peacefully at home on Saturday, December 8, 2018. Helene was born in Derby December 6, 1935 and was the daughter of the late former Ansonia Chief of Police Daniel D. Skuret and the late Helen Kolakowski Skuret. Helene graduated Ansonia High School in 1952, from Hospital of Saint Raphael School of Nursing in 1955 with her RN degree, and from Southern Connecticut State University in 1975 with a Bachelor of Science degree. Helene enjoyed a long and fulfilling career as a nurse for 61 years until her retirement in 2016. Throughout her career as an RN she worked as staff nurse, school nurse, camp nurse, private duty nurse, IV nurse and she also taught home nursing at Hamden High School Adult Education. By far Helene’s greatest joy was raising her three sons, Ronald E. Sutfin (Deb) of Durham, Kenneth D. Sutfin of Wallingford, and John “Jack” S. Sutfin (Alexis) of Hamden. She was also survived by her beloved grandchildren, Daniel R. Sutfin (Alyssa), Megan L. Sutfin, Adrianna J. Sutfin, John “Jake” A. Sutfin, Elizabeth A. Sutfin, Alexandria R. Sutfin. She also leaves her sister, Barbara Heggestad of Bedford, MA and her brother Attorney Daniel D. Skuret, Jr. (Marcia) of Orange, along with many nieces and nephews. Helene’s life will be celebrated with a memorial service on Friday, December 14 at Hamden Memorial Funeral Home, 1300 Dixwell Avenue, Hamden from 5-7 p.m. There will be a funeral mass at St. Rita’s Church, 1620 Whitney Avenue, Hamden on Saturday, December 15 at 8:30 a.m. Interment will follow at Mt. St. Peter’s Cemetery in Derby.